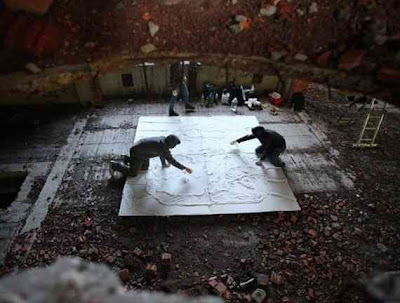 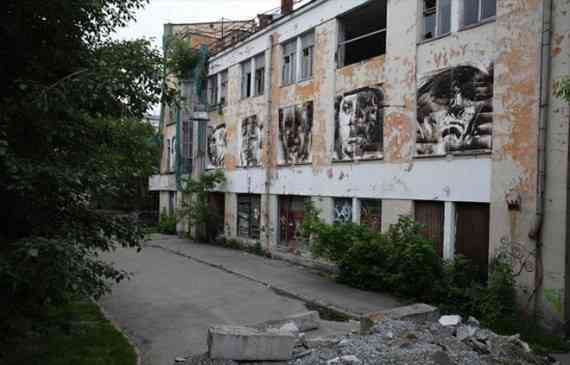 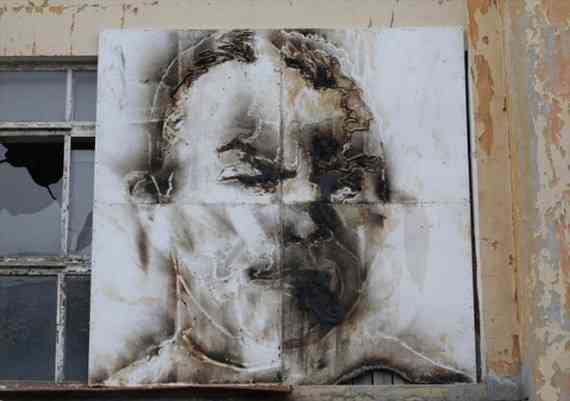 The walls of an abandoned WWII hospital in Yekaterinburg in Russia are now full of amazing portrait installations. They are a bit blurry because they have been burnt with the Molotov cocktails, also know as the petrol bomb;. 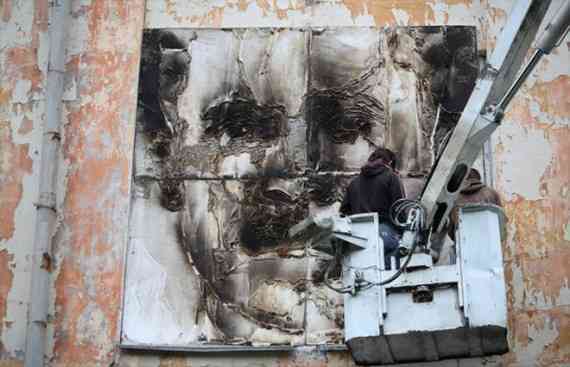 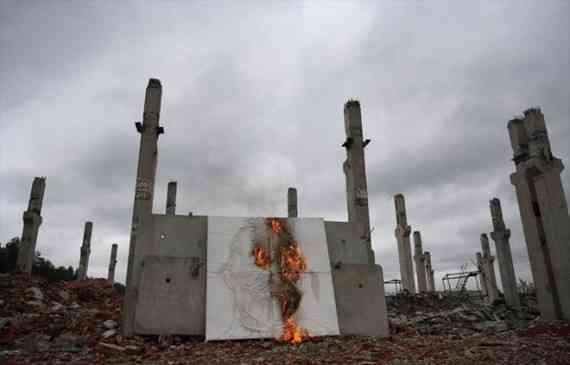 These huge portraits are of fallen WWII soldiers, and they’re made from white bandages. 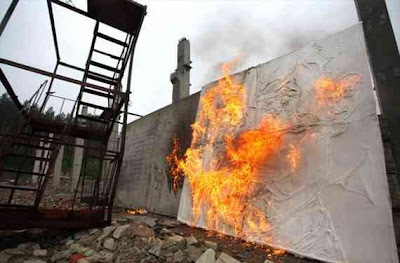 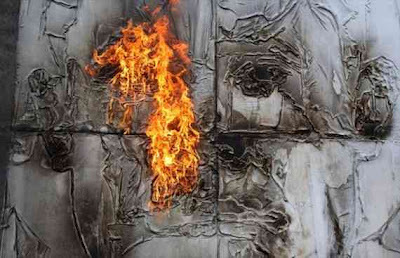 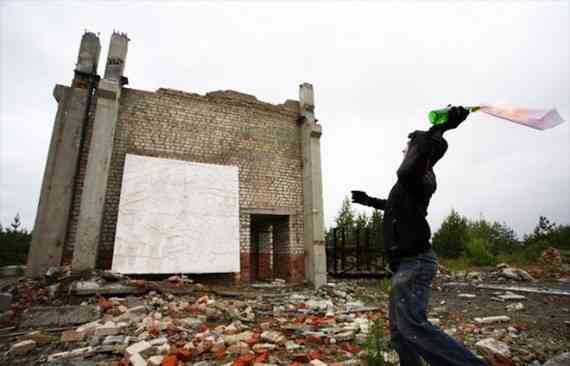 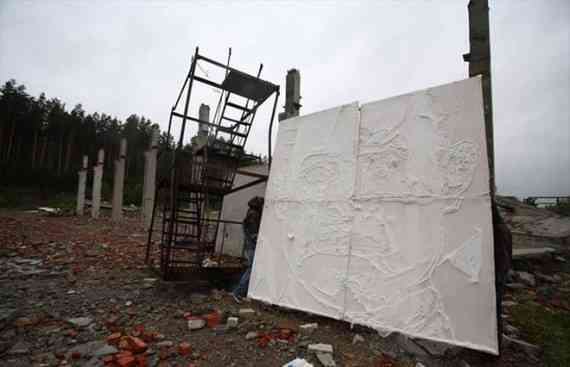 A group of young artist has made them and put up on walls before they hit them with Molotov cocktails.